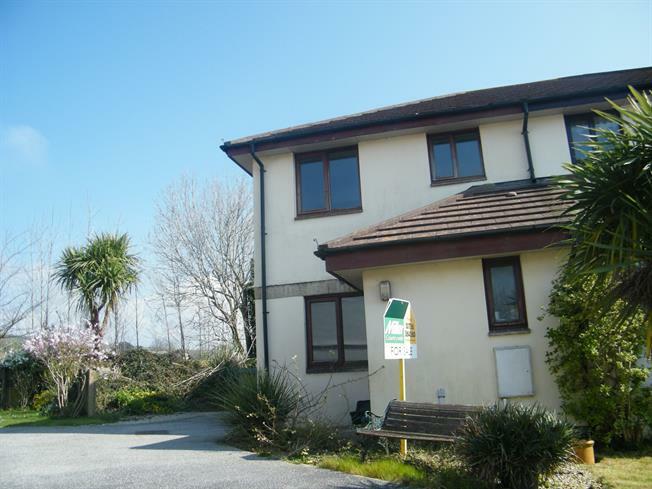 2 Bedroom Semi Detached House For Sale in Penzance for Guide Price £205,000. The property is presented in good order with full double glazing and gas central heating. The accommodation comprises in brief; lounge, kitchen/dining room and downstairs W.C on the ground floor, with two bedrooms and bathroom on the first floor. The outside space hosts token garden area to the front and an enclosed garden to the rear which is laid to lawn, there is also private driveway parking to the side aspect. Double glazed door into porch area with door to cloakroom and lounge. Double glazed window to front aspect, W.C, wash hand basin and radiator. Double glazed window to front aspect, radiator and door leading to kitchen/dining room. Stairs leading to first floor. Double glazed window to rear aspect. Range of wall and base units with Neff integrated electric oven and gas hob. Plumbing for washing machine, door to under stair storage cupboard and double glazed door to rear garden area. Two double glazed windows to front aspect, radiator and wardrobe. Double glazed window to rear aspect with countryside views. Built in wardrobe and radiator. Obscure double glazed window to rear aspect, W.C, wash hand basin and bath. Radiator. To the front is a token garden area with palm tree, to the side is driveway parking for one car and to the rear of the property is a fully enclosed laid to lawn garden area.